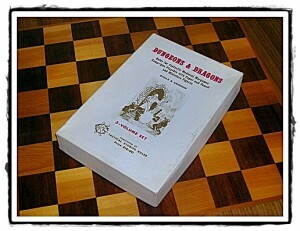 Nice episode, I have a couple copies of the re-issue OD&D deluxe set myself. It’s a useful resource. .. and if nothing else a really nice box. I got it for the supplements. They are hard to come by otherwise. The rules system is a fragmented, jumbled mess, but is still playable. If you are going to continue with Classic D&D, I would suggest the Holmes edition next. 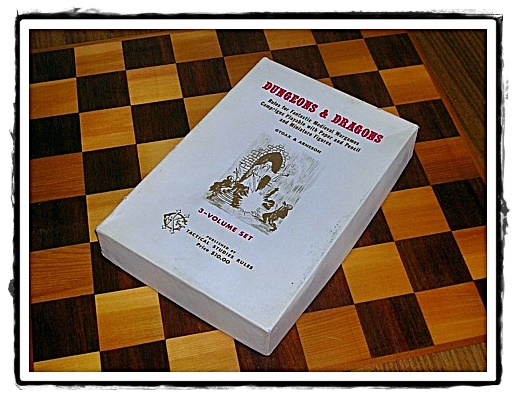 It is a good attempt at consolidating the rules and a good lead in for first edition AD&D. I would cover the early editions of Boot Hill or Metamorphosis Alpha soon though. I do believe the came out around that period as well. Thanks again for sharing this one! I am eagerly awaiting the discussion on James M. Ward’s masterpiece, Metamorphosis Alpha! Oh, and the term ‘To Hit A.C. 0’ first appeared in the abbreviated monster list of the Dungeon Master’s Guide for AD&D, Appendix E.